If you're not using the internet to find customers and tell customers about you, you are missing out on business opportunities. Digital marketing and online advertising are more than a nice website; it's getting people to your website and turning them into customers. By using various tools, we will gauge each process we use for your online advertising. We'll check where leads are coming from, what they are looking at/clicking on and how long they stay on the site. We'll develop strategies based on actual site visitors and…turn increased visitors into sales. 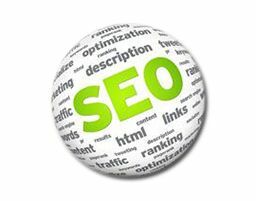 SEO – is the acronym for Search Engine Optimization. This is the process of getting traffic from the natural/free/organic/ search results on search engines (Google, Yahoo, Bing, Etc). Keyword Search – We can conduct a keyword search for your market, giving you insight about your customers and terms to target for SEO.